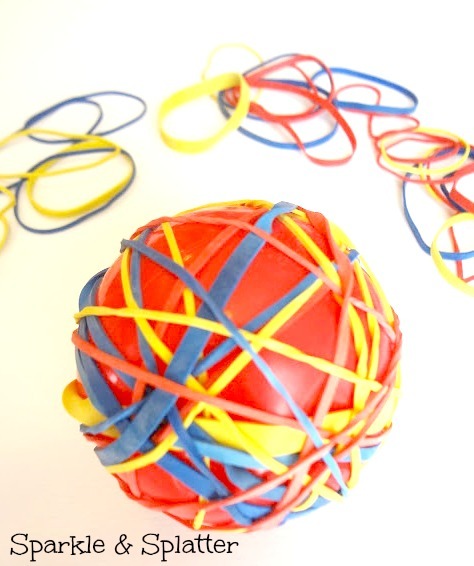 Begin by making the ball, you can make yours entirely out of rubber bands or wrap them around a ball you already have to save time. 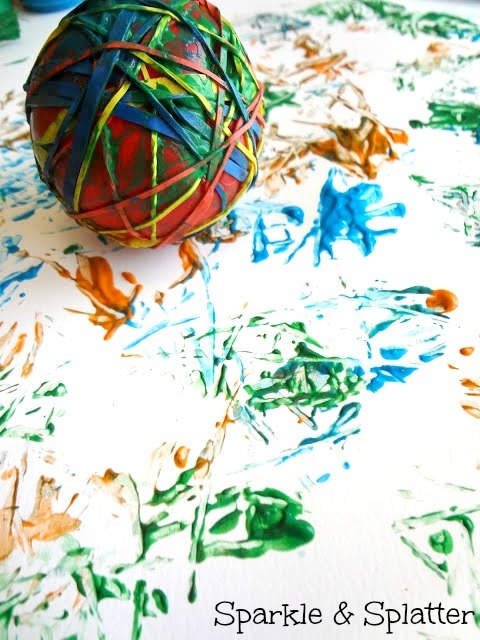 If you'd like to be able to use the ball afterwards, be sure to use washable paints. 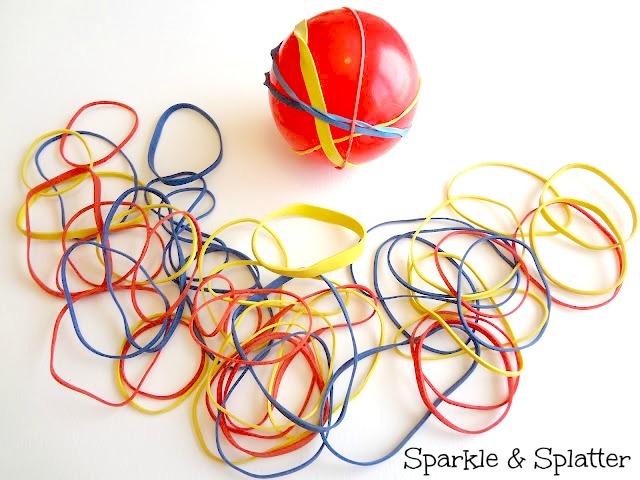 Keep going until you have the number of rubber bands you want. 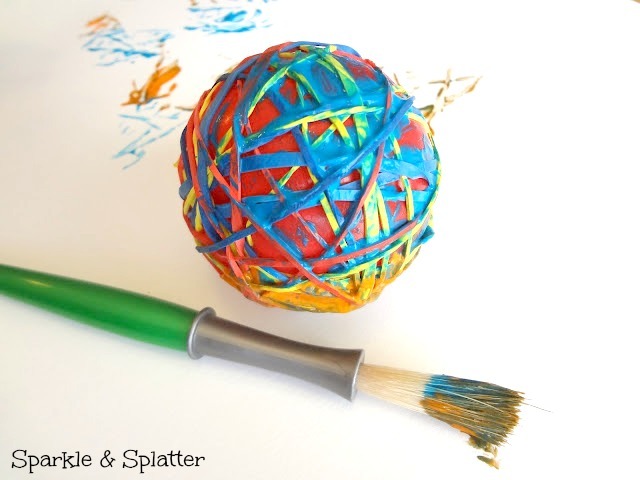 You don't need to cover the entire ball, just enough to give it some really good texture. 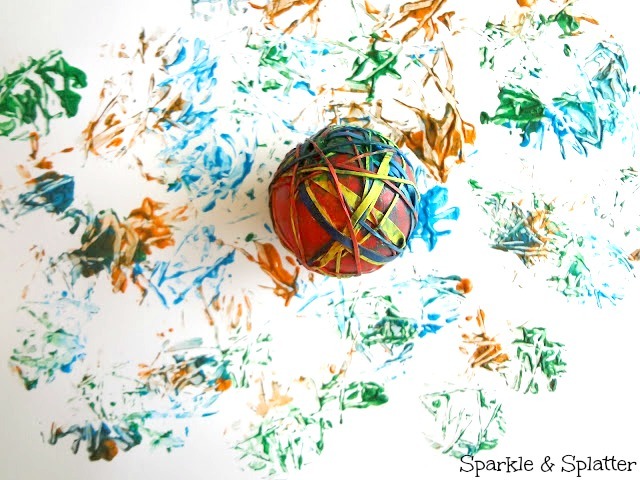 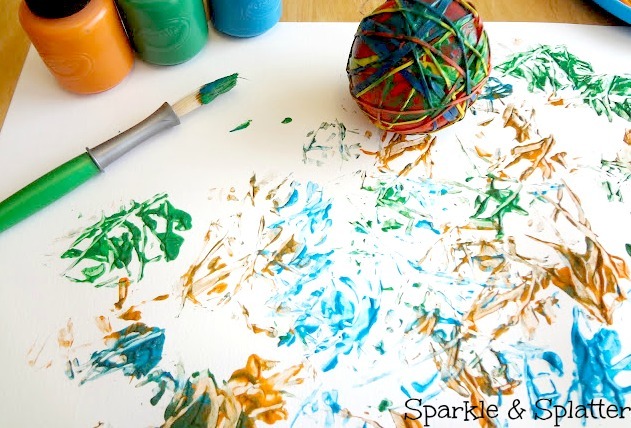 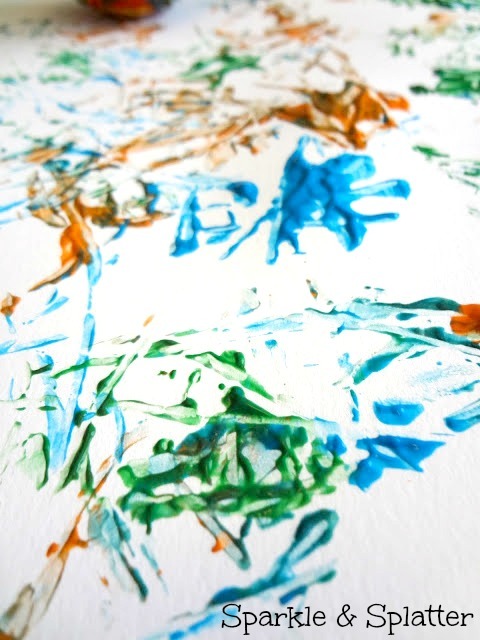 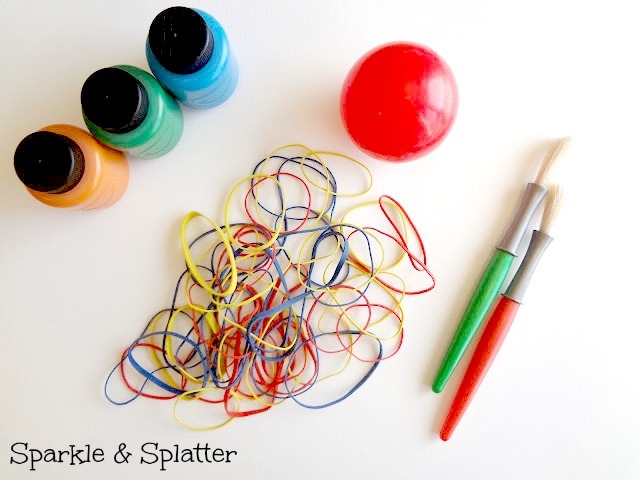 Try rolling the ball, stamping with the ball, and if you're feeling brave about the paint splatters, bouncing the ball too! 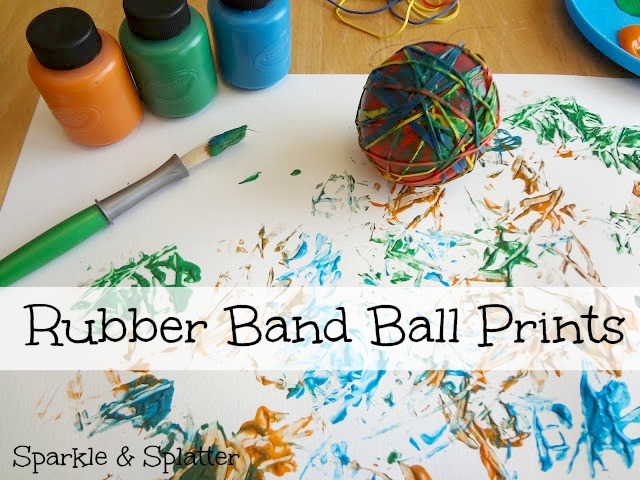 When you're all finished, you can wash the ball and bands and reuse them for your next creative adventure!